Many companies hire talented people to “think like entrepreneurs,” but few offer workplace cultures that provide creative thinkers the reins to generate innovative ideas. Leaders at those companies focus disproportionately higher on financial performance and outdated, inflexible processes than on innovation. They lose sight that hiring, nurturing, and rewarding intrapreneurial talent is the cornerstone for success, and I dare say, survival in today’s unsteady business climate. In a series of 2010 global surveys among 263 top entrepreneurs and industry leaders, Ernst & Young found that 82 percent of the respondents “agreed strongly that the ability to innovate was critical to the growth of their organizations.” For many of these leaders, the study shows, supporting internal innovation is what drives their company’s competitive edge and ability to sustain growth. Why don’t business leaders get it? Still, few leaders understand the value of intrapreneurs. Companies that slip into stagnation and remain bogged down with inflexibility lose market share because of a lack of innovation. As a result, they often find their board of directors seeking CEO replacements and top intrapreneurs jumping ship for more progressive employers. Read: Five Reasons Why CEOs Don’t Get Innovation, by intrapreneur consultant Stefan Lindegaard. Leaders who encourage intrapreneurial mindsets must build a workplace environment where it’s safe to share ideas, test them, and perhaps let them fail. While no less passionate and creative than entrepreneurs, intrapreneurs perform best when they have a structured framework in which to explore ideas. This requires setting up clear guidelines defined by the company’s mission. Some senior managers draft playbooks or other kinds of published instructions that give direction for employees to develop, test, and implement new products. 3M Company is well renowned for its “bootlegging” policy that allows employees 15 percent of their time at work to develop pet projects. In the mid-1970s, 3M researchers, Spenser Silver and Art Fry, stumbled onto the idea of applying Silver’s semi-sticky adhesive to a piece of paper to serve as a bookmark. Since then, Post-It notes have stuck to countless surfaces in innumerable applications. At Google, former CEO Eric Schmidt initiated the 70/20/10 time and resources model for managing innovation. Employees spend 70 percent of their time and resources on their core business, 20 percent on related ideas, and 10 percent on unrelated new businesses. This model has served Google for ten years and will continue to do so, as cited in this Strategic Business Shifts (BizShifts) blog. 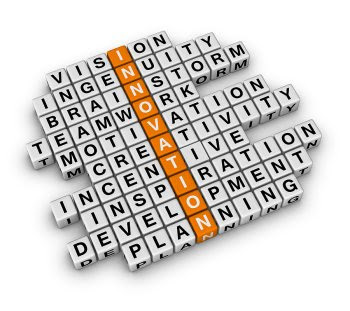 It’s one thing to give lip service about encouraging innovative thinking in your company. It’s quite another to follow through on your promises to intrapreneurs. They need to feel confident that you’ll reward them for their ideas, and that you won’t punish them for failures. In PricewaterhouseCoopers’ PwC Innovation blog, Chief Innovation Officer Sheldon Laube spells out the many ways companies can recognize and reward employees for implemented ideas. Laube suggests that leaders evaluate cash rewards for effectiveness and fairness. He also mentions alternative types of recognition, including certificates, medals, and personalized communication from senior leaders. Leaders create an atmosphere of openness and allow creativity to flourish. Leaders manage innovation through “habits,” or disciplined processes throughout HR, finance, and governance for understanding problems and how to solve them. Leaders must constantly communicate how the market changes, which requires employees’ innovation in mounting responses to it. Everyone needs to understand the consumer’s viewpoint when coming up with solutions to needs and problems. Watch for upcoming articles that focus on specific examples of intapreneurship in practice. If you wish to share an example of intrapreneurship that positively affected the bottom line or bettered customers’ experiences, please send it along. Karen A. Meek is a senior communications strategist in Seattle, Washington.